According to your research, this great weapon was one of the many treasures of Hakkar the Soulflayer in Zul’Gurub. 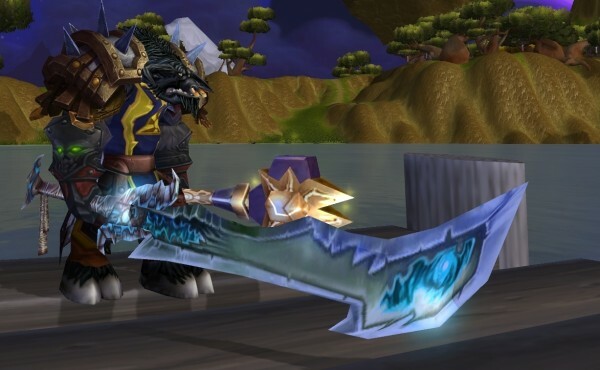 Hakkar was defeated years ago, and this sword passed through the hands of many powerful warriors and paladins before apparently becoming sundered. It is remarkable that you have been able to reforge it, but also a little troubling: if the Destroyer of Worlds has returned, perhaps the Soulflayer is not far behind. Equip: Increases your hit rating by 216. Equip: Increases your critical strike rating by 238. This is the only rare Troll artifact currently in-game.